So another year came to an end and here I have some outfit marathon from 2014. I want to say big thank you to all of you who are following along the way my adventure. Life is one great adventure. People say every New Year is like new beginning, I would say every day is like a new beginning. You never know what gonna happen. Some people come into our lives and some are gone away. The most amazing thing that they all touch some how our lives and there was a reason why we met them. So I'm very grateful that you have become part of my life. You all have touched my heart and with all your support it makes even more fun to do what I'm doing. You bring light to my heart! So many amazing looks! I hope youre having a wonderful new year! Wow this is such an impressive roundup of looks--I love them all! :) I love your great pops of color, especially the pink. Happy 2015! Love all your photos ! Wishing you a Happy New year in 2015!! I love the pictures! I can't wait to see what 2015 has in store for you! Love this recap! You have such great style! What a fashionable 2014! Here's to another fashionable year! Happy New Year! Have a new fashionable year, was very nice 2014! A very fashionable year Ramona! Loved your outfits! Can't wait to see your posts for 2015! 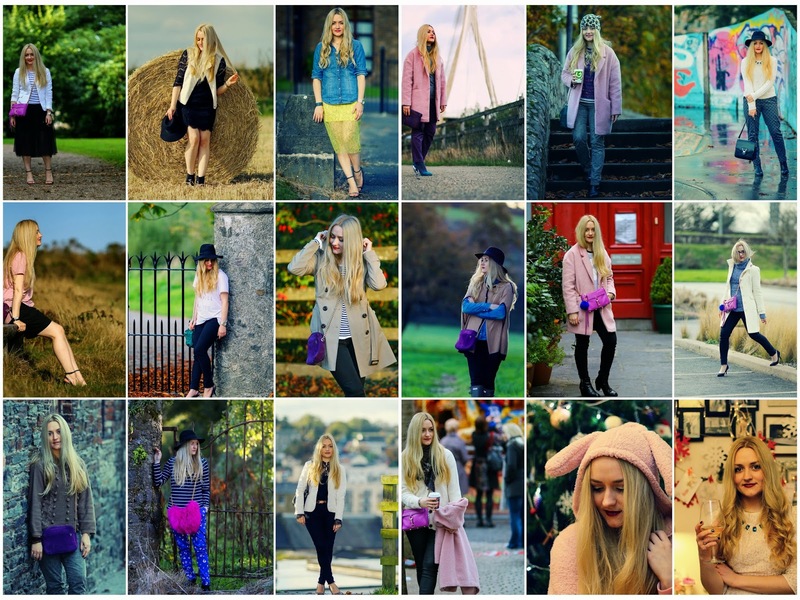 What a stylish year 2014 was for you, doll! Looking forward to your 2015 outfits, which I'm sure will be beautiful and chic! Such a great recap post! Wishing you a happy 2015, babe! it's cute how you have those pops of pink throughout your lookbook!! so adorable! So many fabulous outfits, so many wonderful memories. It's always sad to say goodbye to a year, but wonderful to embrace the endless possibilities of the future. Happy New Year Ramona, I'm looking forward to seeing all it has in store for you!